If you don’t have access to truly dark skies with no light pollution anywhere, and you don’t own a truly flat-field telescope (do they even exist? 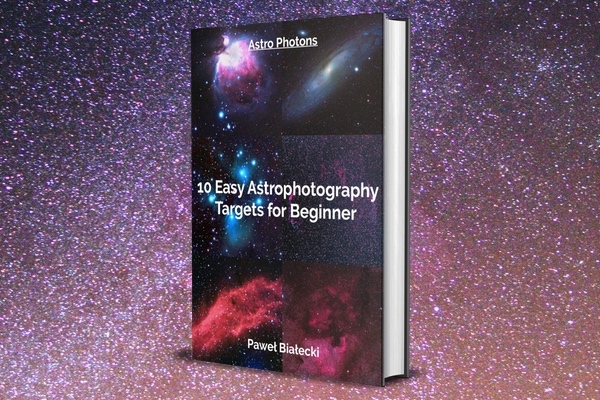 ), there are really high chances that your stacked astro-pictures have some kind of gradients and tints (uneven field illumination). Do you have to live with that? Well, it depends on your PixInsight skills! 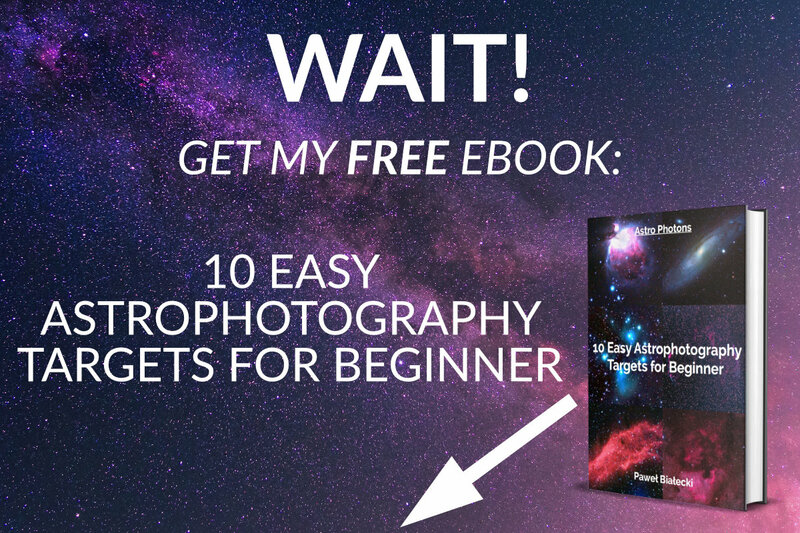 In this tutorial, I will show you how to eliminate light pollution gradients, color tints, and effects of lack of proper flat frames in your stacked astrophotography pictures. How do those gradients and tints look like? Trifid and Lagoon nebulae, unprocessed (only stretched for display purposes). Nothing really special, just an astrophoto. Vignetting comes from lens/telescope imperfections, and light pollution comes from our civilization. Can we do something about it? Of course, we can. PixInsight have an amazing (yes, no other word can express it better) tool called Automatic Background Extractor (there is also a manual one version, called the Dynamic Background Extraction, but this is a topic for another post. Usually, the automatic one tool produces fantastic results without any manual steps involved.). Open your stack in PixInsight, and go to Process -> Background Modelization -> Automatic Background Extractor. As for a start, the default values are good, except the Target Image Correction -> Correction parameter – be sure to select Subtraction instead of None. Let’s apply this to my Trifid and Lagoon stack. PixInsight, as a result, gives me two pictures. First: extracted gradient. You don’t need this, close the image window. BOOM! Second picture: the background-extracted stack. After just a few clicks, automatically. Obviously, this method is not perfect – there are still some vignetting and uneven field illumination. But if you look at the base image, and then on the background-extracted one – it’s just hard to force myself to not to use this tool for astrophotography post-processing. And keep in mind that background extraction is one of the first steps you should do when you post-process astronomy images. Image above is just a starting point (without those gradients – a good one). If you are not satisfied with the first extraction, run the second one. Also, play with the function degree parameter under the interpolation and output submenu. The greater the number, the more ABE extracts. Experiment. The final picture of Trifid and Lagoon nebulae. I really like it. Took with Fuji X-T20, Rokinon/Samyang 135mm f/2, and Fornax LighTrack II from my balcony. Five minutes of the total integration time (f/2 FTW), sadly no darks, no bias, and no flats.